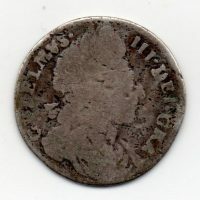 1700 Crown, William III third bust variety, reverse, crowned cruciform shields, DVODECIMO on edge, S.3474, extremely fine. 1658 Crown, Oliver Cromwell laureate bust, reverse, Crowned shield, good extremely fine-virtually uncirculated, traces of lustre, very rare. 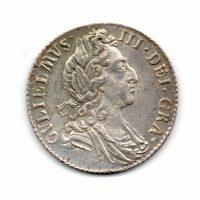 1697 Sixpence, William III laureate bust, reverse, crowned cruciform shields, uncirculated, lustrous. 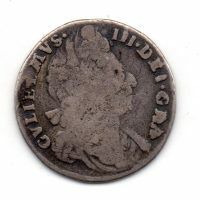 1658 Shilling, Oliver Cromwell laureate bust, reverse, Crowned shield, extremely fine, traces of lustre on reverse, very rare. 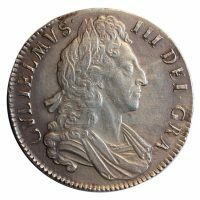 1700 Shilling, William III fifth bust, reverse, crowned cruciform shields, S.3516, uncirculated, lightly toned. 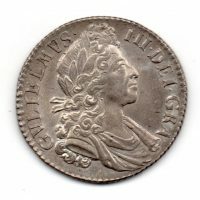 1698 Sixpence, William III third draped bust, reverse, crowned cruciform shields, uncirculated, rare. 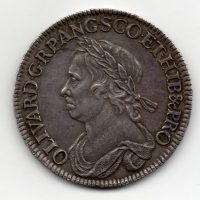 1658 Half Crown, Oliver Cromwell laureate bust, reverse, Crowned shield, S.3227a, good extremely fine, prooflike fields, attractively toned, very rare. 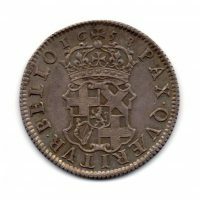 1696 Sixpence, William III second bust, reverse, crowned cruciform shields, ESC 1217, R4: 11-20 known, excessively rare, S.3527, nearly fine. 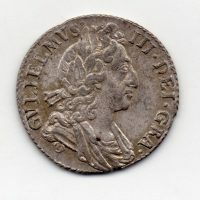 1696 Sixpence, William III second bust, legend reads ‘GVLELMVS’, reverse, crowned cruciform shields, small crowns, later harp, new ESC 1218:R5 5-10 known example, excessively rare, poor. 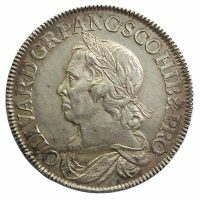 1701 Five Guinea, William III laureate bust, ‘fine work’ issue, reverse, crowned cruciform shields, DECIMO TERTIO on edge, S.3456. 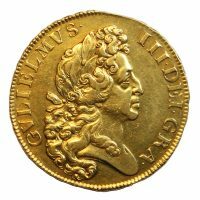 We are happy to provide a free appraisal on single coins or collections whether for insurance or purchase by us. Immediate payment is available for any coin or collections purchased. Please contact us should you need advice on either buying or selling coins. We do genuinely pay top prices for the right material. Human test: Which is bigger, 2 or 8?